So at the Sparks Flea Market, my mother-in-law and I were all done for the day and heading to the car. I had just spent my very last dollar and the vendors were closing up shop. We happened to go down an aisle where we had been earlier in the day. We were just chatting along, carrying our finds, when suddenly I stopped dead in my tracks. The next words out of my mouth were "I'll pay you back but I need this now...immediately!" Now, I'm usually a pretty calm shopper. I try to have a good poker face so I don't give away when I'm thrilled with a find or bargain. 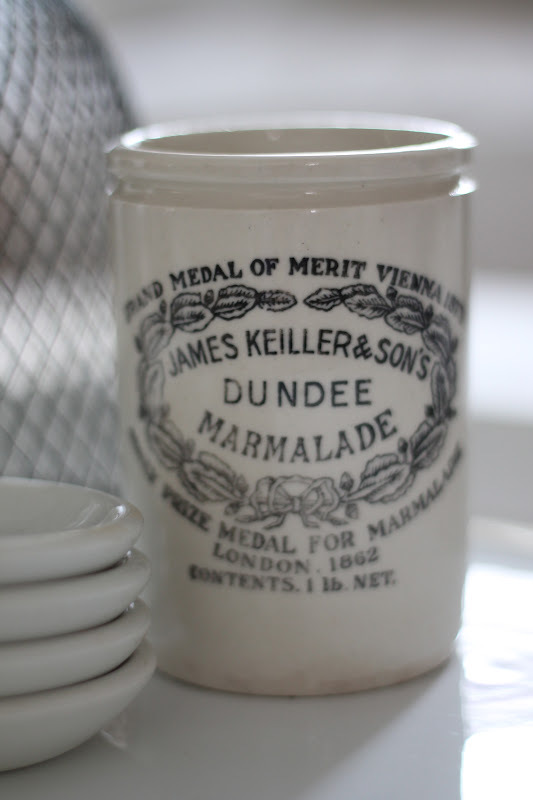 (And I promise I don't usually demand people buy me things on the spot : ) But I totally lost it when I spotted this antique Dundee marmalade jar. I'd been looking for one forever, but things from England are usually kind of hard to find on the plains of Kansas. 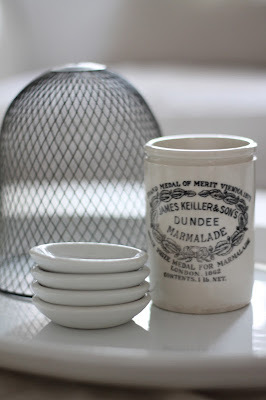 I've seen them on eBay and etsy, but I just couldn't bare shelling out $20 or $30 for a little jar. And Dalanna, I owe you 10 bucks! I'm linking to Show Us Friday at Jennifer Rizzo's. What a great last minute find...and it's always nice when shopping with someone who can lend you "emergency" cash :) I love how you relayed the story. Your joy came through the computer screen and I got excited for you! Love it! And those butter pats! I sold one of these in my shop several months ago. Really wish I had kept it! Lucky you!! Off to visit the shop! happy for you - it is cute indeed! Great MIL! I love those jars as well and have also been looking for one. This just makes me want one even more! 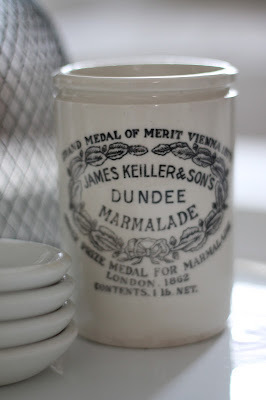 How special that you and your MIL antique together..
Hi ~ Great Find ~~~ I really enjoyed reading your blog.